The decision to place a loved one in a nursing home is extremely difficult. Though most families try earnestly to care for elderly and ailing relatives, the responsibility can become overwhelming and eventually require the need for nursing home assistance. When choosing a nursing home, families hope that their loved ones will be treated with a high standard of care. Unfortunately, many nursing homes fail to meet these expectations, leading to resident injuries. Harris Lowry Manton LLP provides compassionate representation for nursing home injury victims and their families. 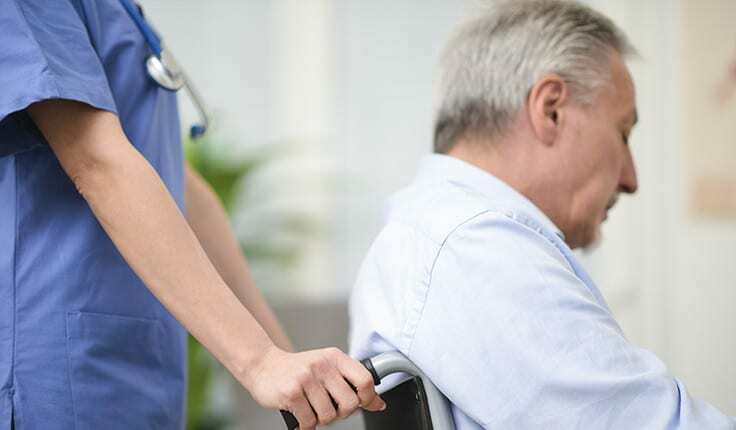 If your loved one was injured in the care of a nursing home, contact the experienced Atlanta nursing home neglect lawyers of HLM for a confidential consultation. Physical abuse. The dependency of some nursing home residents on their caregivers makes them particularly vulnerable to physical assaults. Abusive employees may handle patients roughly while moving them or even strike them for soiling themselves. Emotional abuse. Caregivers may also subject nursing home residents to emotional abuse by yelling at them and speaking to them in an inappropriate manner. Threats and humiliation are also forms of emotional abuse. Sexual abuse. Sexual abuse is all too common within nursing homes. Failure to properly investigate and supervise workers can place residents at risk for sexual assault. Financial exploitation. Caregivers often obtain information about the financial status of residents. It is common for unscrupulous administrators and workers to exploit this information for their personal gain. Our knowledgeable Atlanta nursing home abuse lawyers understand the various types of abuse and know how to diligently advocate for victims. Unsanitary accommodations. Check the cleanliness of the room and linens for proper cleaning. Unsanitary accommodations are a sign of neglect. Extensive weight loss or dehydration. If your loved one appears to be losing weight quickly or shows signs of dehydration, this may indicate inadequate nutrition. Bruises and/or bedsores. Bodily bruises may indicate physical abuse, while bedsores may suggest neglect and lapse of adequate care. Venereal disease or genital injuries. Genital injuries and venereal diseases are strong indicators of sexual abuse. Our accomplished Atlanta nursing home abuse attorneys have successfully handled various types of nursing home injuries and are prepared to represent you. Nursing homes and their staff have a duty to protect and care for their residents. When they fail this duty and your loved one is harmed, the Atlanta nursing home neglect lawyers of HLM can help. Our strong reputation has resulted in numerous referrals from other legal professionals. We greatly appreciate this vote of confidence and diligently fight for the rights of each client. Call our Atlanta office at 404-998-8847 or our Savannah office at 912-417-3774, or complete our contact form to schedule a free initial consultation.